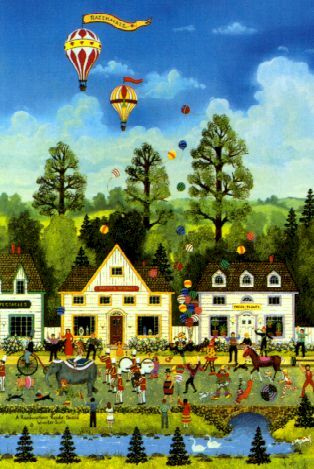 Jane Wooster Scott 's Limited Edition Print " A Rambunctious Razzle Dazzle "
a crowd anywhere in this neck of the woods. from those born too late to enjoy the good old days. "A Rambunctious Razzle Dazzle " 20 1/4" X 13 1/2"